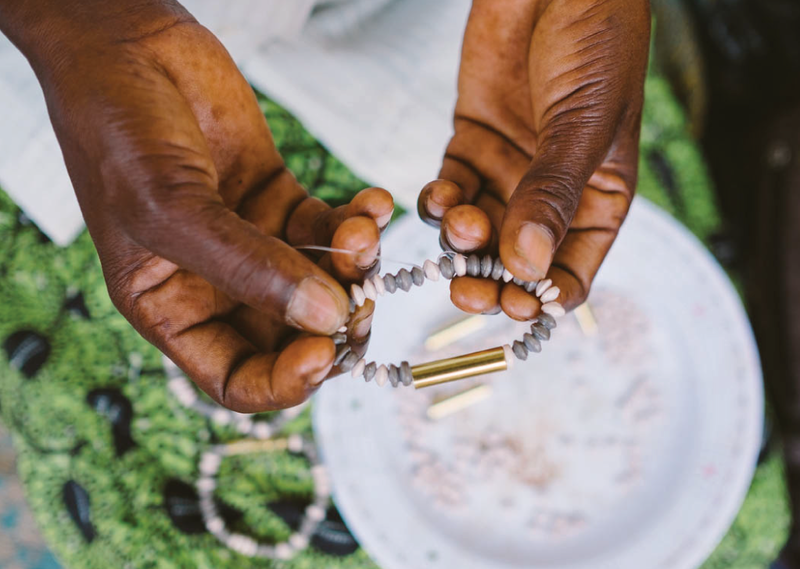 The Rhythm Road is a mid-length, single strand necklace comprised of various shaped beads with brass accents. 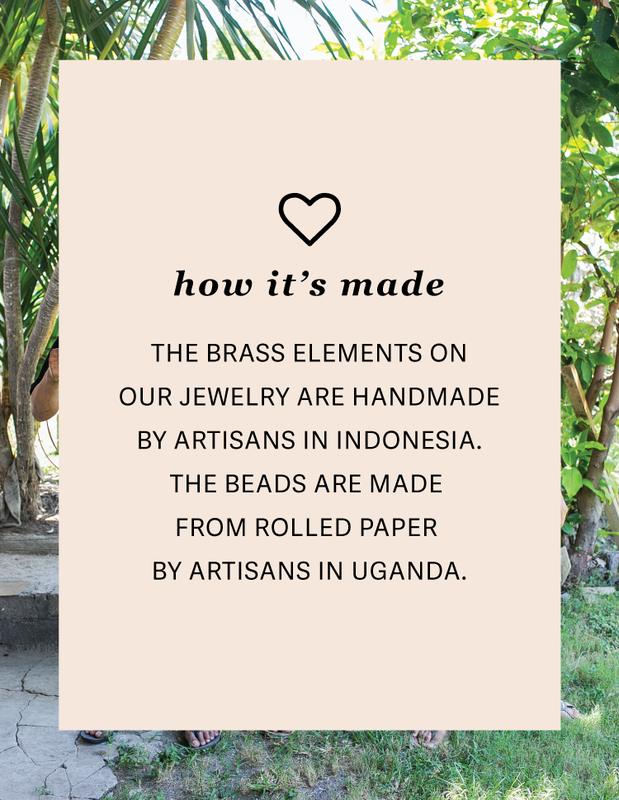 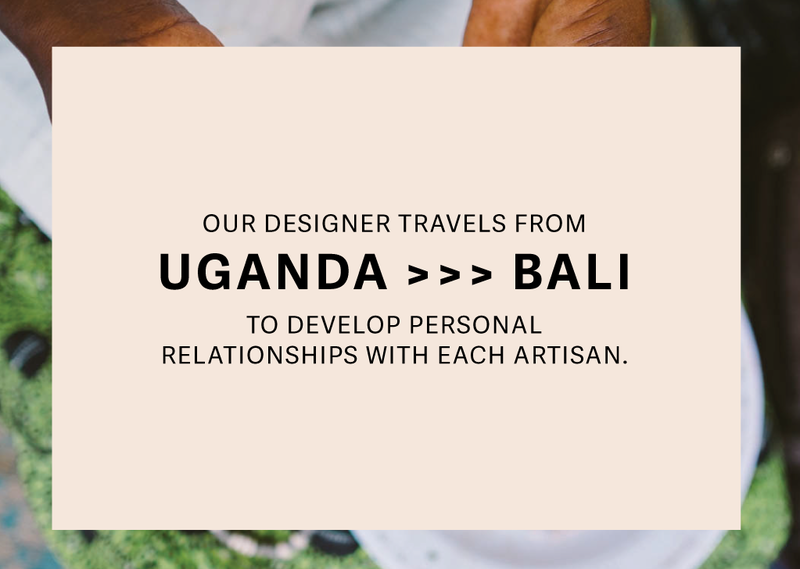 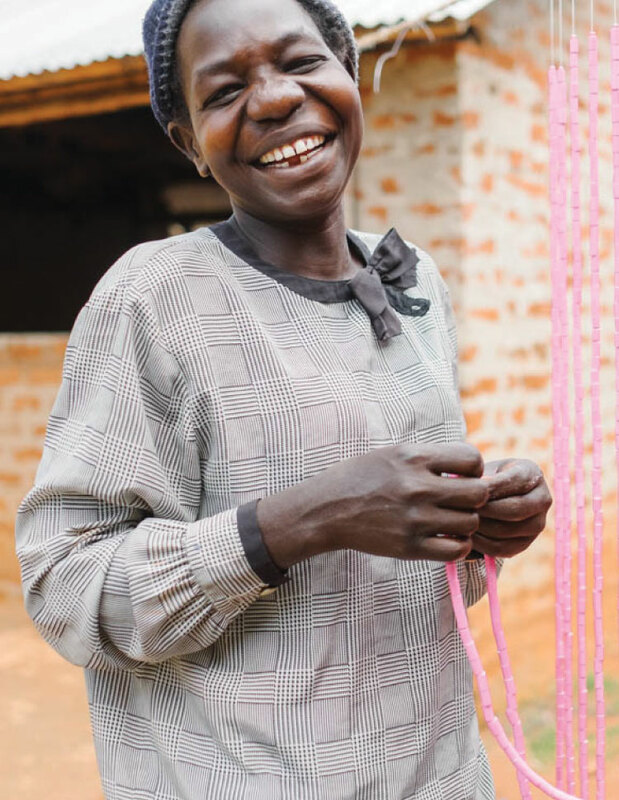 The beads are made by our artisans in Uganda and the brass elements are made by our artisans in Bali. 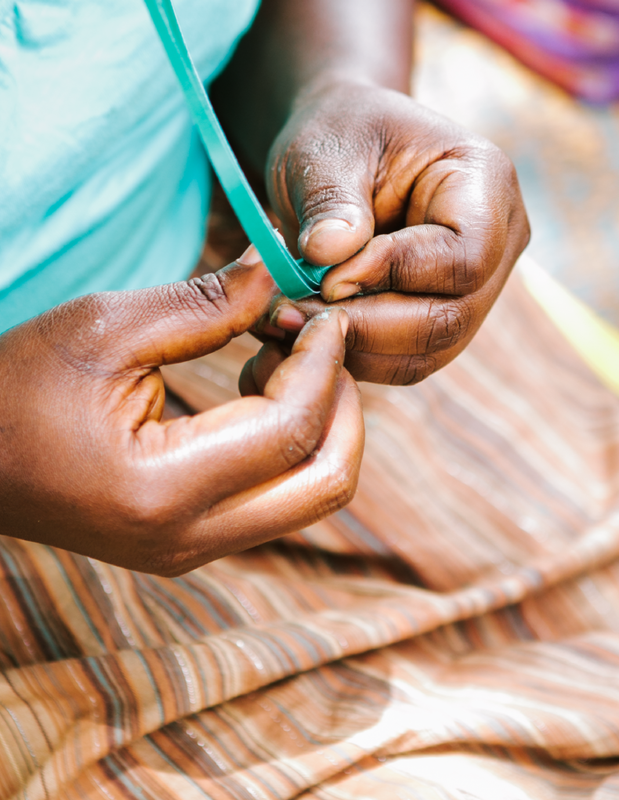 Fastens with a spring ring clasp.